The solar powered food waste disgester. The Green Cone is an integral part of dealing with your household waste. It is a completely natural system that reduces your food waste to its natural components of water, carbon dioxide and a small residue. This solar-heated unit takes ALL cooked and uncooked food waste including meat, fish, bones, dairy products, vegetables and fruit. The only exceptions are bulk amounts of food related materials that require a very long time to breakdown, namely: cooking oil/fat and the hard shells of nuts and seafood, such as oysters and crabs. Put all your food waste into your Green Cone, situated in a sunny part of your garden, and forget about it - almost everything disappears! Waste food can be disposed of cleanly and quickly, before it becomes smelly. With no food waste in your garbage bags your other waste is drier and lighter. Safe for you, your pets and your plants. It's easy to set up and maintain. 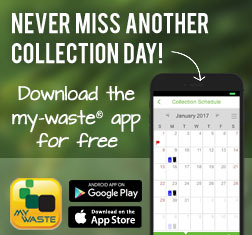 Saves up to 33% of household waste having to be collected. Traditional home composting is an excellent way of recycling garden waste back into the soil. However, unlike a Green Cone, a garden composter is not suitable for recycling many types of food waste, including cooked vegetables, pasta, meat, bones, dairy products and also pet feces. The Green Cone has been designed to break down these materials in a safe way. The waste is digested rather than composted and is primarily reduced to water. This nutrient rich water enters the soil under the base of the digestion unit. Very little waste residue is produced by a well operating Green Cone and you do not need to turn the waste. Your Green Cone needs very little maintenance. It is important to ensure that the top of the basket and the bottom lip of the outer green cone are below ground level and always fully covered with soil. In a well operating Green Cone very little waste residue will be produced. Should the residue build-up to ground level and not decrease, the cones can be removed to access the basket. The residue can be dug into any suitable area of ground. Q: How much waste can I put in my Green Cone? Provided your Green Cone has been correctly installed, three-quarters to one kilogram of food waste can be disposed of in your Green Cone each day. This amount is typical of that produced by a family of four. The precise quantity of waste digested by your Green Cone each day will depend upon the ambient temperature, the population of bacteria, and the mix of food waste you produce. Q: Will my Green Cone work all year round? Yes. Your Green Cone works 365 days a year. The level of food waste may rise during winter but should drop down when the weather gets warmer. If it slows during very cold periods use the natural Green Cone accelerator powder. Q: Does the Green Cone attract vermin? If correctly installed, your Green Cone will not attract vermin. By ensuring that the top of the black basket and the bottom lip of the green outer cone are below ground level any smells will be filtered out by the surrounding soil. It is also important not to spill food near the Green Cone. To order a Green Cone, visit Compostec here.